Hello Casino offer a great place for any type of online casino player. They are powered by the great casino platform White Hat Gaming and therefore can give you the thrills and excitement of an impressive number of high-class casino games. Hello Casino have more than 550 casino games from the best casino producers on the planet. Members of Hello Casino can enjoy the latest games from NetEnt, Ezugi, Thunderkick, NYX Gaming, Leander Games, Aristocrat and Betsoft. The casino games at Hello Casino is supported on most devices like desktop, mobile and tablets. In addition to the great selection of online casino games, Hello Casino also house a very reliable payment system which is secured by the latest encryption technology available on the market. Hello Casino also have a great team of casino experts that handle any customer related queries that might arise. The team of professionals are available 24 hours a day, 356 days a year. The player support is reachable by e-mail and live chat that you can easily locate while browsing their website. The website and player support are available in several languages including English, German, Finnish, Norwegian and Swedish. Hello Casino is owned by Caddell Limited NV and managed by White Hat Gaming Limited. They are licensed by the UK Gambling Commission and MGA. Hello Casino Welcome Bonus Package: Get up to €/$500 bonus + 50 Bonus Spins! 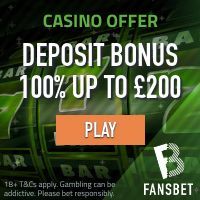 The minimum deposit to qualify for the deposit match bonuses are €/$20 (currency equivalent). The wagering requirement is 35 times your total casino balance (deposit amount + bonus amount). CLICK HERE AND JOIN HELLO CASINO AND CLAIM YOUR WELCOME BONUS PACKAGE! Hello Casino has a clear focus on providing a 100% safe and secure payment environment. This is done by using the latest and most advanced encryption technology available. In terms of payment methods that you can use to deposit and withdraw from your Hello Casino account, all major methods are accepted including credit/debit cards, e-wallets and several different regional direct bank transfer solutions. Hello Casino offer an impressive selection of online casino games. Their games selection has more than 550 games from some of the most successful games producers on the market. As a member of Hello Casino you can enjoy the latest games from NetEnt, BetSoft, Nyx Gaming, Leander Games, Thunderkick, Quickspin and many more. Some of the most popular online video slots at Hello Casino are Jimi Hendrix slot, Guns n’ Roses slot, Twin Spin, Mega Fortune, James Dean, Dolly Parton and South Park Reel Chaos just to name a few.